What crafted your love of fashion? My love for fashion came about as a model for a local boutique, Oliver's Attic. I have now been modeling for over two years, and I love every minute of it. 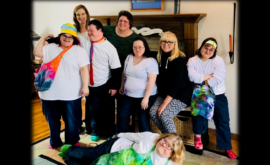 Both NBZ Apparel and Downs Designs Dreams like to use the term “Inclusive Clothing”. 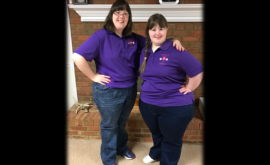 We pride ourselves in creating clothing that can be worn by wearers with different abilities and body types, however, truly expresses a sense of style/fashion that is also desired by wearers of every ability and size. The concept of truly Inclusive fashion is what led us to discover the amazing work that Caitlyn was accomplishing. “Inclusive Clothing” is slowly making its way into more stores. When I see a brand that sells “inclusive clothing,” it makes me want to shop there even more. Supporting people of all abilities is so important to me! After my fashion show for girls with special needs, I wanted to continue to raise the confidence of my models and integrate new faces into the media. That is how my summer clothing line, the “Down Right Perfect Collection” came about. The Down Right Perfect Collection features a criteria list of things not normally taken into consideration. For example, individuals with Down syndrome have shorter limbs, broad shoulder and round bellies. They may struggle with small buttons and zippers. Many individuals are hypersensitive to the material they are wearing. All of these are a factor when shopping. From there, it was kind of like finding a needle in a haystack. 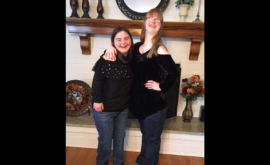 I searched through a website with thousands of vendors to find clothes that fit the criteria list to ensure a more appropriate fit and make it easier for girls with special needs to get dressed independently while still being fashionable. Once we had a collection of clothes, a few models from my fashion show modeled them for our facebook group. Seeing their excitement & how confident they were made my heart smile. The support the community gave for the models was amazing. What made you expand on your passion for fashion and begin to focus on inclusive fashion? Was there a certain person or aspect that led you towards this path? Yes, my whole passion began way back in the fifth grade. There was a girl, a few grades older than me, who had Down syndrome. Her name is Ashley. I was attracted to her laugh and positive outlook on life. Her happiness was literally contagious. Ashley is one of my best friends to this day, and she was a model in our photoshoot for Downs Designs & NBZ Apparel. Over the years, we grew very close. Because of her, I met more individuals with special needs and each person I have met, I've had an instant connection with. I knew I was being loved and not judged, and that being with them was “my place.” I will forever be thankful for their impact on my life. I always wanted to do something almost as a “thank you” to my friends. My senior year of high school, I came up with the idea of a fashion show. It would be a great mix of advocating for inclusion, fashion, and volunteer work. I told my best friend and word spread through the grapevine. We had a local group, the Minot Optimist Club, approach us and offer to cover the costs of the show. All we had to do was plan it. We took advantage of the amazing offer and opportunity. Over the next three months, the first Limitless Fashion Show was founded. The show came, and it was a huge hit. Each of our 24 models had a partner picked for their positivity to assist them on-stage. Over 350 people came to the show with standing room only. Through a free will donation, we raised a little over $2,000. We are using that money, as well as sponsorships, to host the second annual Limitless Fashion Show, held on March 24. We've already started planning. Through our partnership and your dedication towards finding fashionable clothing for others, we were able to donate clothing to some beautiful girls who are your friends. Together as a team, you all put together an amazing photoshoot in NBZ Apparel Jeans and pants. Can you tell us a little more about these girls and the photo shoot? Chantel- Chantel speaks through laughter. When I first met her, I didn’t know sign language. We just laughed together and that is how our friendship began. Because of her, I am teaching myself sign language and learning the importance of it! She is a ray of sunshine. Just hearing her laugh is guaranteed to make you smile. Ashley- Ashley is the girl I met in fifth grade who changed my life forever. We attended the same school where she was one of my biggest fans, as I am hers. She has now graduated, but we still see each other often. From here, my whole outlook on life became brighter. She handles any and all “struggles”, eloquently. In addition to Down syndrome, Ashley has diabetes and is gluten-free. She does not let any of these things make her feel “different” or hinder her in any way. She takes it each day at a time, smiling all the way. We love the photoshoot and others like it which we have received. 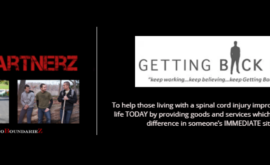 For us, they demonstrate individuals “Living with No BoundarieZ” which is our philosophy here at NBZ Apparel. What does Living with #NoBoundarieZ personally mean to you? This is such a simple but POWERFUL saying. #NoBoundrieZ, to me, means that no matter what anyone else says, Do It. It seems so simple, but so many people stop before they get to the point of actually doing it. They may have an idea or dream and not act on it. To Live with #NoBoundarieZ, you need to be active in your dreams and cross those boundaries. Whether they are boundaries within yourself or that other place on you, the most important thing is to believe in yourself and "Do It." Speaking of Living with No BoundarieZ, all of us here at NBZ Apparel and Downs Designs Dreams wanted to congratulate you on your personal achievement of winning Miss North Dakota Teen USA! Would you like to share with us, this amazing experience and accomplishment? Thank you! It is truly an honor. Pageantry is so empowering in itself. You meet many influential women who truly live with #NoBoundarieZ and believe in what you are doing. They give you the platform to take off. I am so thankful for the opportunities I have had in the first few months I have been crowned and cannot wait to gain more throughout my reign. I feel like the night I was crowned, so was my inclusion family because that is who I am representing. My #1 goal for the year as Miss North Dakota Teen USA is to advocate on a bigger platform. It is very important to interact with young students and teach them the value of inclusion and friendship. If they are taught about various disabilities when they are young and if they know that disabilities are not a bad thing, they won't be scared to friend someone who is “different” than them. They won't be scared to ask their parents to help them understand. They won't be scared to advocate on their own. Each classroom I attend, I teach them this. I love seeing the change of perspective from the beginning of class to the end. I always ask, “Does anyone know what Inclusion means?... Does anyone know what a disability is?” Every time thus far, the children knew little to nothing and we're a little uncomfortable at first. By the end of the class, I ask the same questions. This time, they aren't scared. I ask them “Will you friend someone who may be a little different than you?” Hearing them happily scream “YES” makes me know I am making a small difference that will hopefully lead to big changes. How can people follow your journey through the pageant and what can they do to show their support? I would love your support! You can follow my journey on my official Facebook and Instagram accounts. If you feel the need, you can support me financially on my GoFundMe account. On my social media handles, I post updates, inspirational quote, fun facts, and #IAmReal posts. #IAmReal are posts that are important for my followers & supporters to know but wouldn’t be able to tell from a picture. I want my followers to support who I authentically am. I want them to form a connection with me through imperfections. I want them to know I am nowhere close to perfect, and I don't want to pretend to be. I want them to know my insecurities and what I struggle with as well as what I am confident in. I feel like that is an important part of social media that is sometimes left out: real life. Both NBZ Apparel and Downs Designs Dreams will be not only supporting your mission during the pageant but we will also be teaming up to support a fashion show that you are hosting. Would you like to share more information about this event that we can’t wait for? 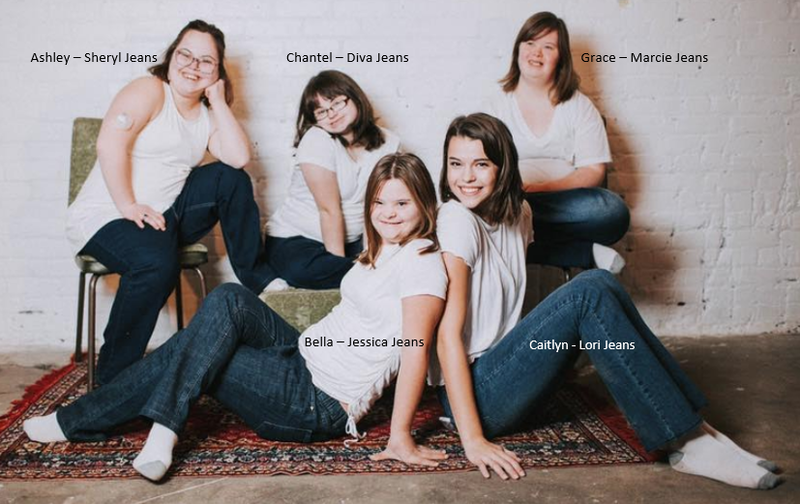 The Limitless Fashion Show is a nonprofit fashion show for girls with special needs. 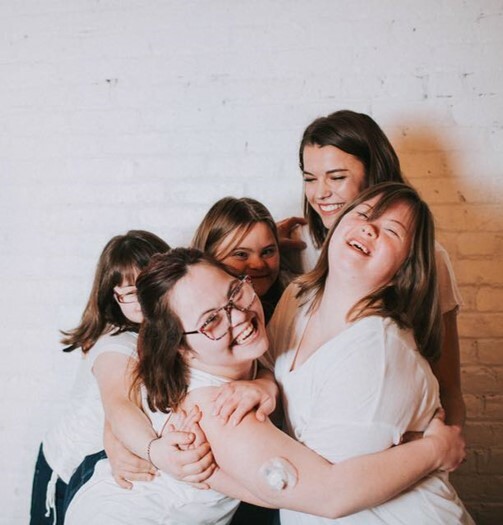 It's a free community event that is used to support inclusion, make our models with special needs feel as beautiful as they are, and support local businesses. Last year, our first show, was a huge hit. We had 24 models with disabilities ranging from Down syndrome to Cerebral Palsy to Autism and all the in-between. Each model had a high school partner picked for their positivity to assist them throughout the day. Each model had the option of hair, nails, and makeup, and in the time between, they could practice walking on the runway. This was a great show to build confidence and friendships. This show wouldn't be possible without the support of my generous community. Over 350 people came to the first Limitless Fashion Show leaving standing room only. Through a free-will donation, we raised over $2000. This year, we will be using that money, as well as community sponsorships, to host the second annual Limitless Fashion Show on March 24, 2019, at the Sleep Inn and Suites. If you would like to stay updated and see photos from the show, you can follow our Facebook event, join my inclusion page or follow our Instagram. Since you have started this journey within the inclusive fashion world what has been your favorite memory or moment so far? It is hard to pick a single moment because there are so many. However, my favorite memories would come from the fashions show. I can think of one in particular. One of our models, a complete fashionista, could not wait to get on the runway. Before the show, her partner came up to me and said: “Cait, my model is on the runway and I cannot get her to come down.” I went over there, and after a few minutes of watching her pose for the camera got her to come with me. Then, about 10 minutes later, her partner came back and said that she was back on the stage. I loved seeing her excitement to be there. I knew right then, this show was already 100% worth it. Are there any changes that you would like to see or are personally striving to change within the fashion world? Yes, as I mentioned above with the clothing line, I would love to see or be apart of integrating new faces into the fashion industry, particularly those with disabilities. How often do you see a model with Cerebral Palsy or Spina Bifida modeling for scheels? … or a model with Down syndrome for Sephora? Although it is getting better with more inclusive clothing lines like Zappos and yourself, I feel there should be a line in more store and that is should be “normal” to see models of all abilities in ads for small and major businesses. Thank you for writing this wonderful article. Absolutely love Caitlyn and all that she has done for the special needs community. My daughter is Chantel in the pictures. Chantel adores Caitlyn and loves doing this modeling for the photoshoot and the fashion show. Such a joy to watch the girls during these events and it’s all because of Caitlyn.